This is the 2.5" x 3" NARFE Blue Chapter Officer Badge. 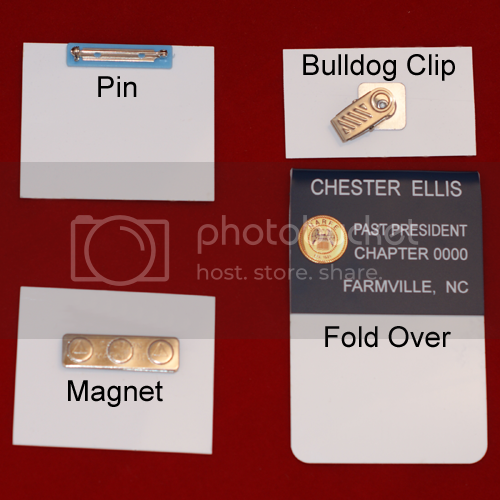 Ordering multiple Chapter Officer badges is easy. Simply customize the first badge, click Add To Cart And Add Another, and repeat the process.